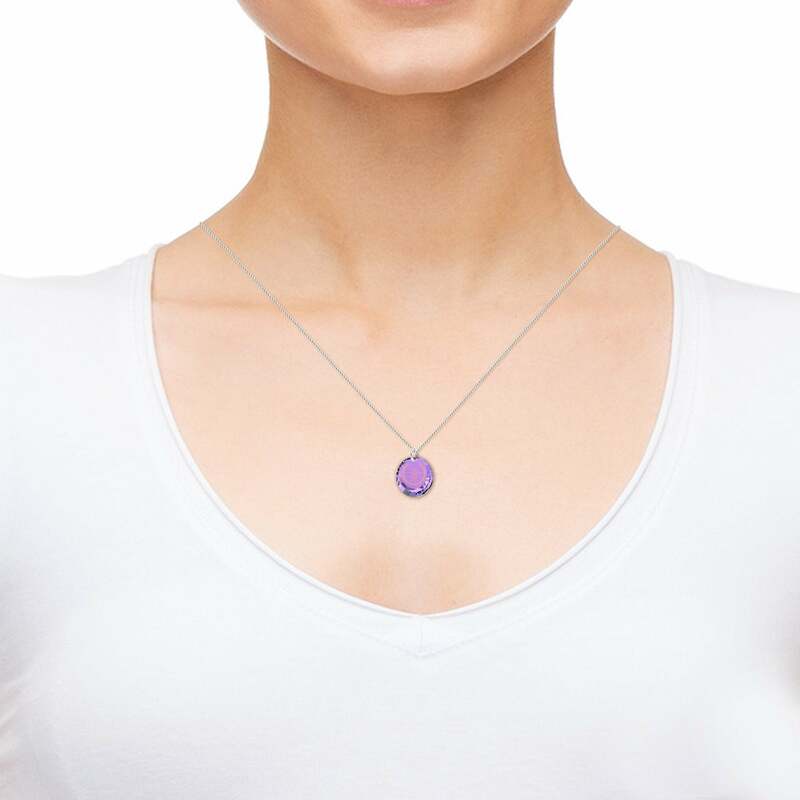 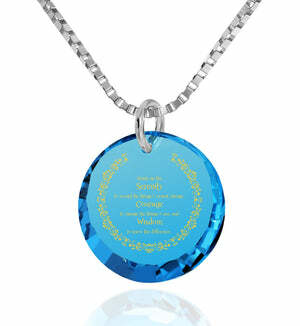 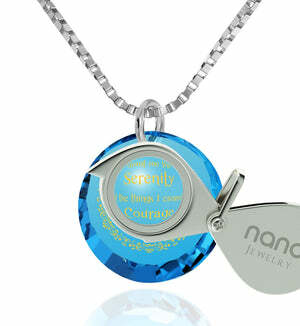 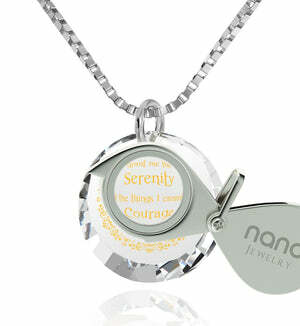 Silver AA Jewelry - Gift Strength and Hope through Nano Jewelry Now! 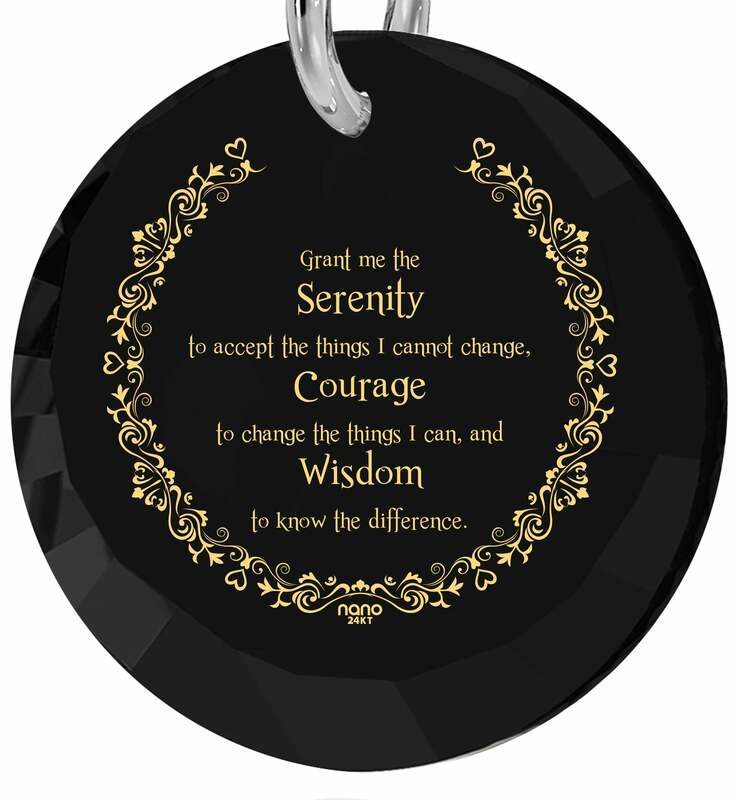 It’s natural to feel frustrated because of life’s injustices, but doesn’t help with reshaping it into a reality that’s more pleasant to exist in. 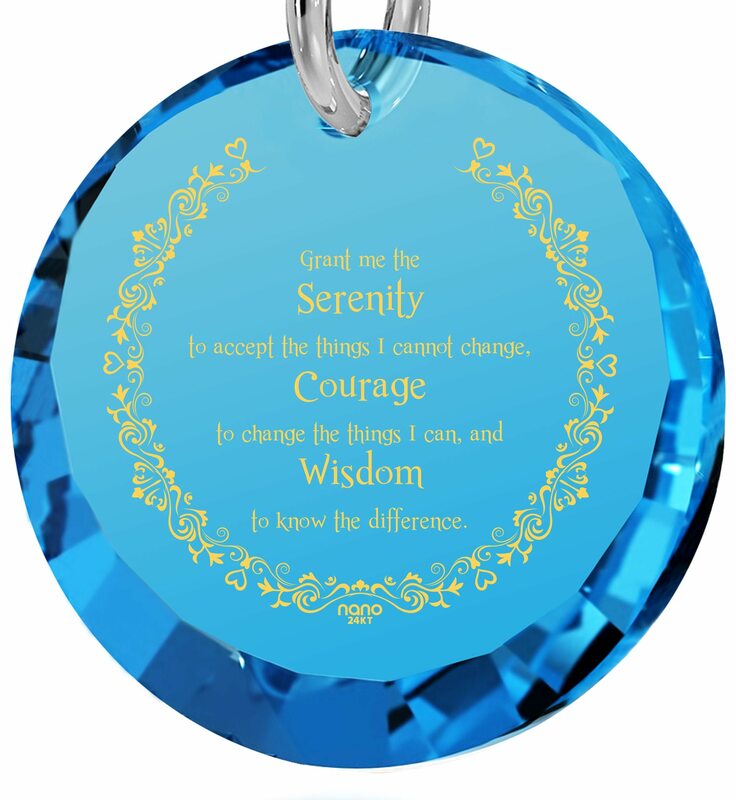 The serenity prayer teaches us to come to terms with things as they are and apply our energy to those which can be made better. 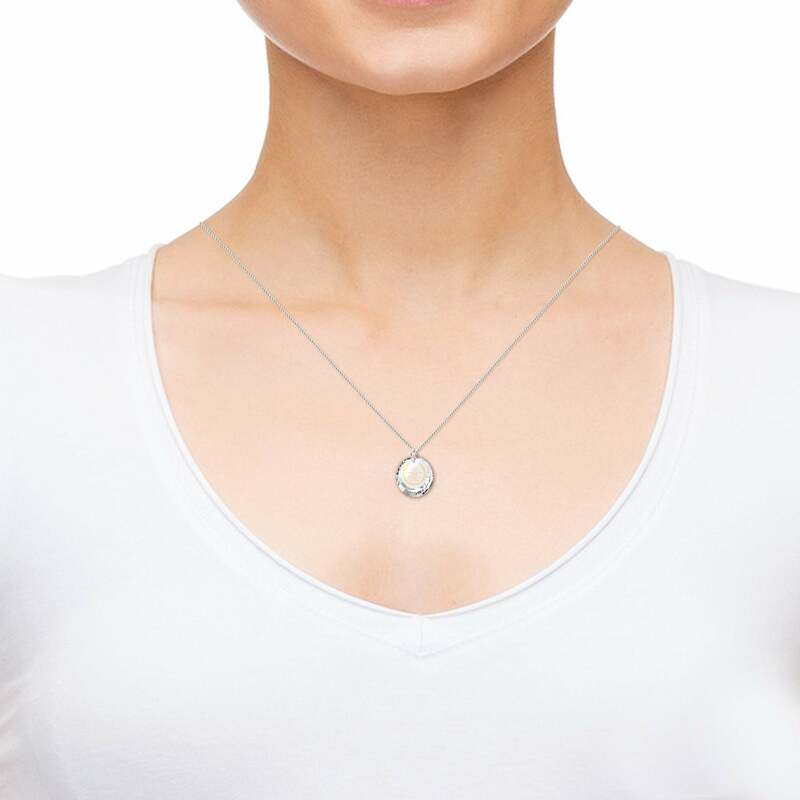 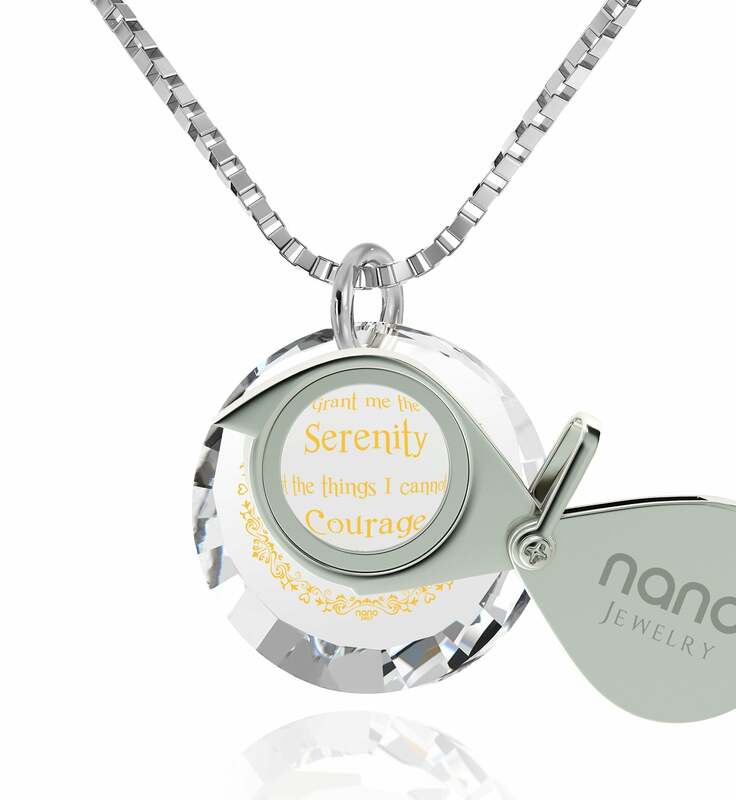 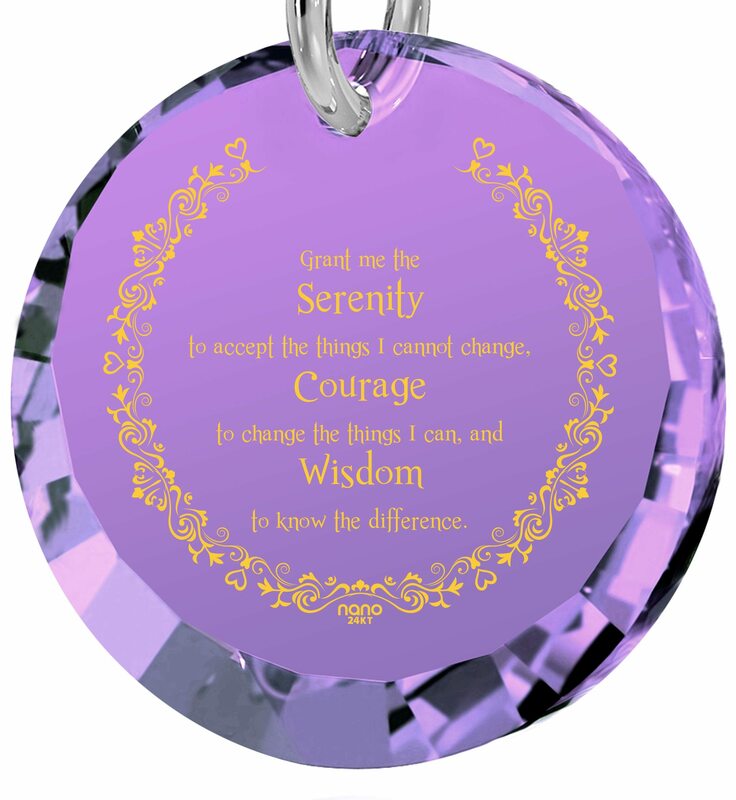 A hard lesson to learn without something to motivate her, but with a little creativity in selecting a thoughtful gift for her, this serenity prayer necklace can become the source of guidance she needs. 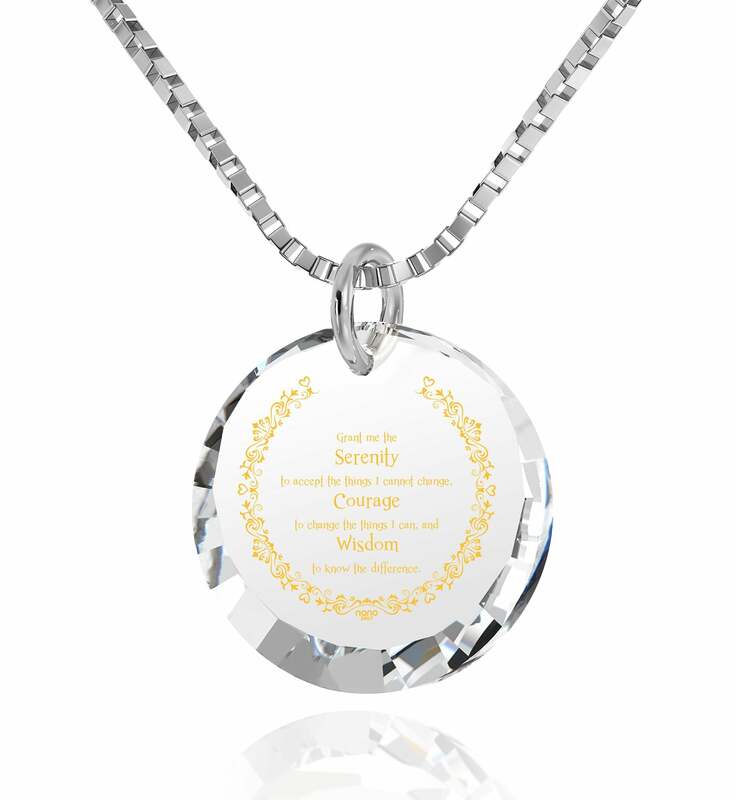 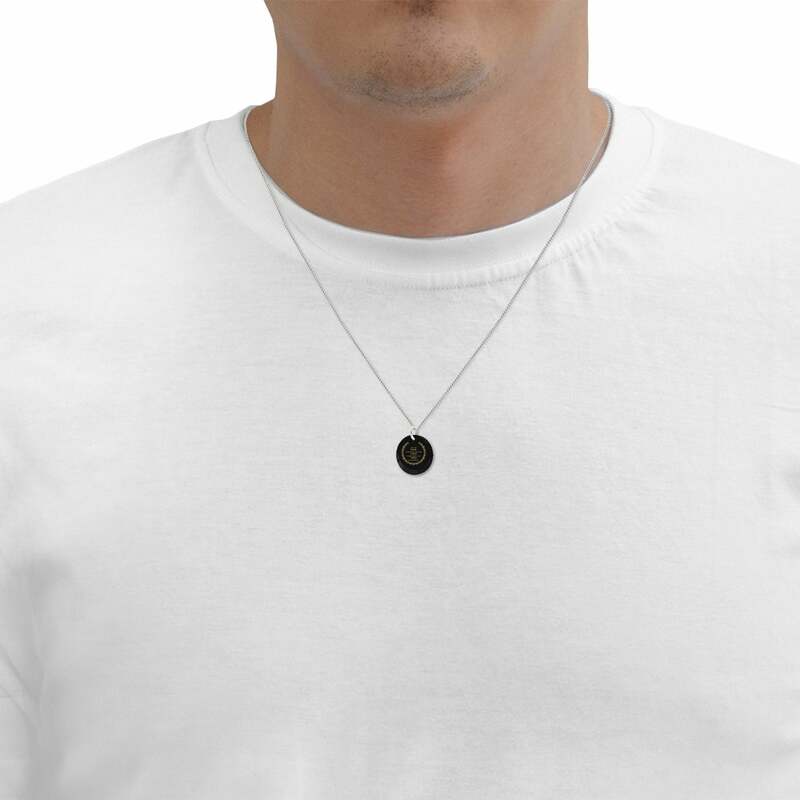 Bringing herself to wear it shouldn’t be much of a problem since the sterling silver AA necklace is attractive as it is meaningful. 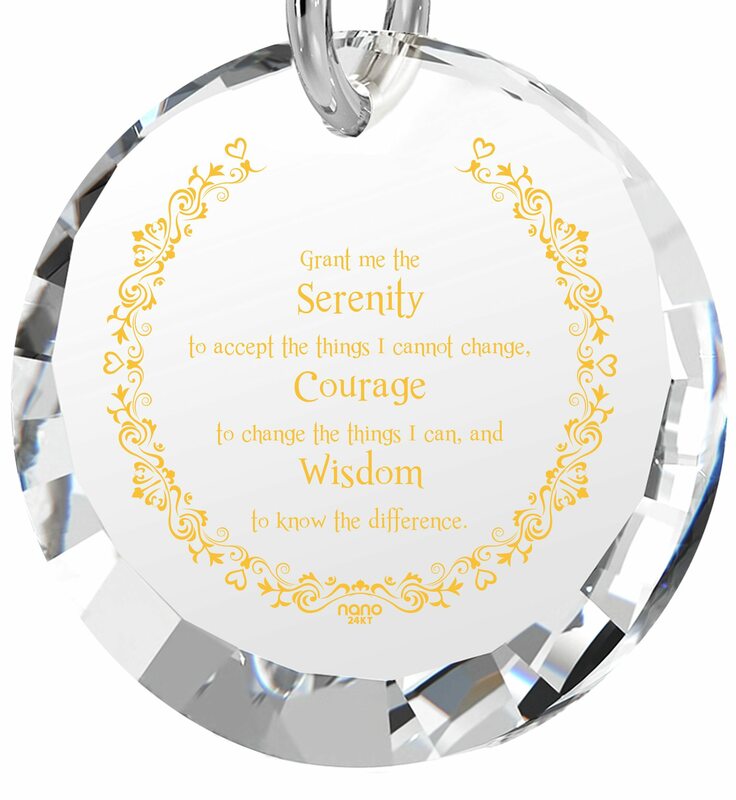 Its artful box chain and round CZ gemstone bring out her free-spirited and playful style, while the prayer’s words so delicately imprinted onto the stone give clarity and help in persevering through the day. Amazingly intricate and made in a way which ensures they’ll last for more than a lifetime, they give the unusual gift for her the meaning and hope all of us need to persevere. 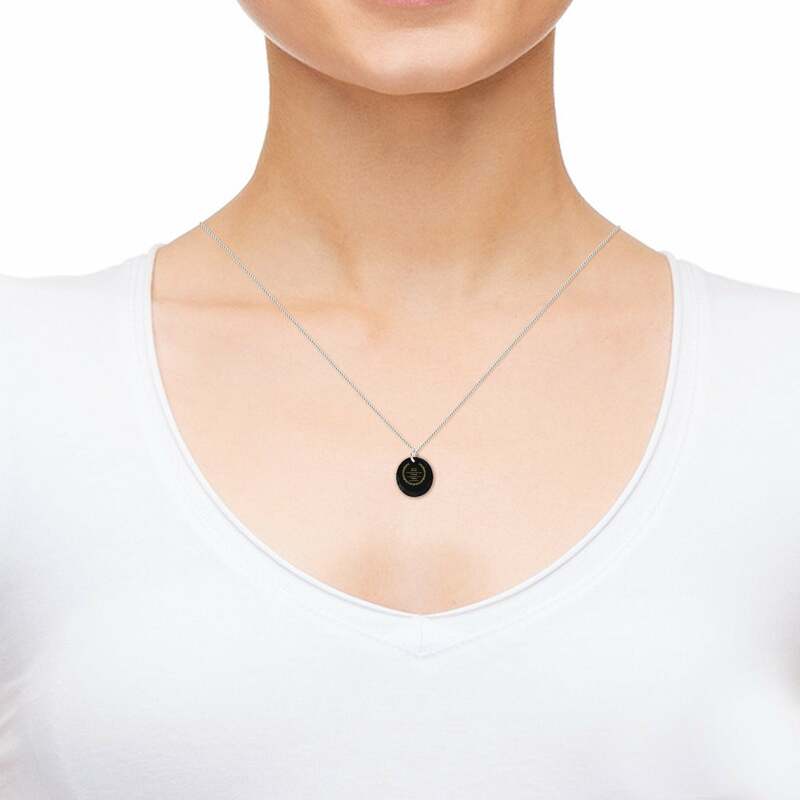 To get the most out of the serenity prayer jewelry, she’ll want to take advantage of the two items that come alongside it. 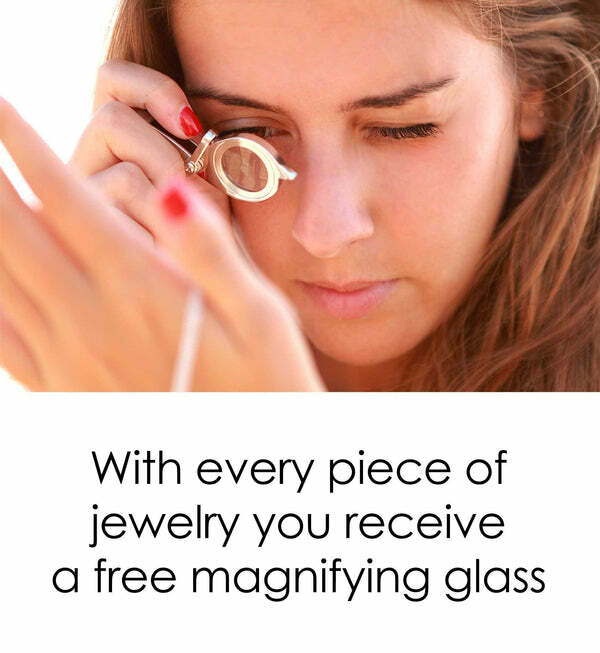 One is a modern-looking jewelry box with room enough for the thoughtful gift for her and the other surprise – a useful magnifying glass that can bring the inscription’s details into proper focus. 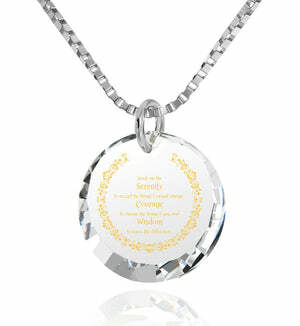 Show your willingness to stay by her side with a different kind of gift, and hearten her with it today.